England finally managed to survive the penalty-shootout scare on Tuesday when they dispatched Colombia to set up the quarter-final tie with Sweden. Breaking the Scandinavians down will be quite a challenge for Harry Kane & company given the Swedes conceded in just one of four games at the World Cup. They are up against Tottenham’s talisman who is the tops corer of the competition with six goals to his name (three came from the spot). England ended the penalty-shootout curse on Tuesday night, advancing to the next stage at a major competition by this manner for only the second time in seventh attempt. The Three Lions have an open way to the final as no previous champions stand ahead. Can Gareth Southgate’s troops go all the way? Rock-solid and resilient Swedes are next. Janne Andersson’s Sweden may not be playing the most beautiful football you’ve seen, but their unity and team ethic is something we have to praise. Zlatan Ibrahimovic is not with them in Russia, but it only looks to have put the players together as a tremendous team work combined with the super stern defensive line has led them to the World Cup quarter-final. Sweden did it without a real star in their squad and without a serious threat in the final third. The names of Ola Toivonen and Marcus Berg certainly do not promise much of the action up front, while their number 10 Emil Forsberg was barely noticed in the group stage. Nevertheless, the RB Leipzig winger was just brilliant in the last 16 round as he was the one who inspired the narrow 1-0 victory over Switzerland. It wasn’t just for the lone goal of the game, which came after a huge deflection, but his close control and dribbling were just killing the Swiss defenders on the left flank. Whilst Sweden played super tight in all of four games so far in the tournament, England’s displays are hard to analyse. They offered two entirely opposite showings in two halves of the opener against Tunisia. The Three Lions then hammered weak Panama 6-1 with a hat-trick from Harry Kane before intentionally losing the last group phase game to Belgium to join the much easier draw en route to the final. They did have moments of bliss in the last 16 round against Colombia, but overall it was a display that by no means promises a one-way street when they take on the Swedes in Samara. 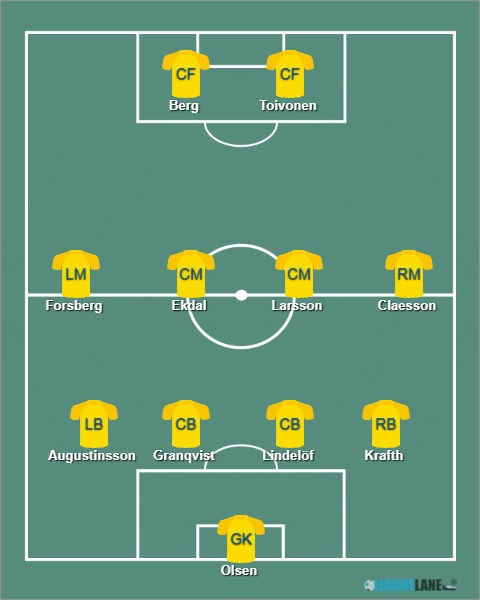 Sweden Predicted Starting Line-up vs England World Cup 2018, July 7. 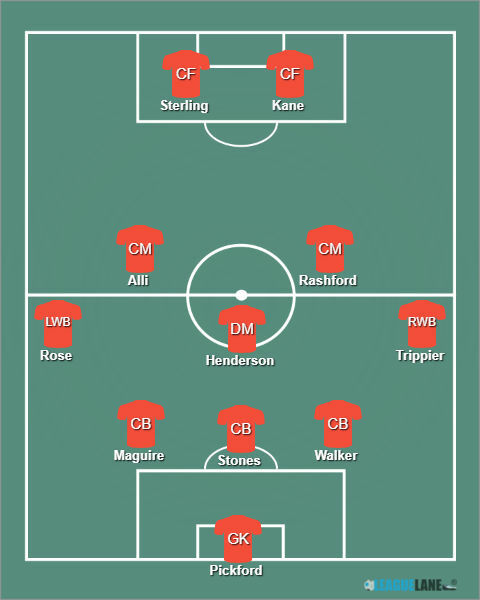 England Predicted Starting Line-up vs Sweden World Cup 2018, July 7. The draw was the most common of the outcomes in the history of head to head encounters between Sweden and England, happening on 9 occasions in 24 games. 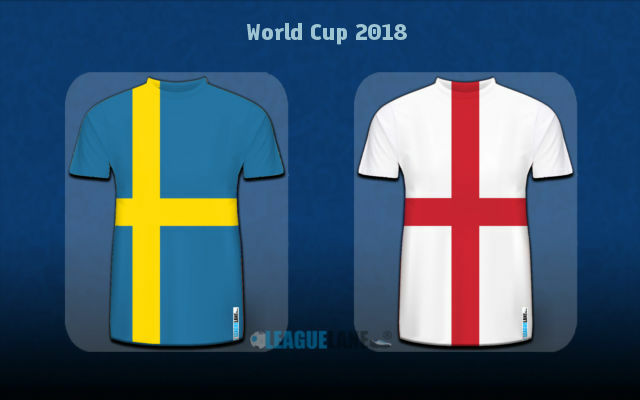 England lead the H2H tie by a single win, but they lost the previous meeting with the Swedes 4-2 in a friendly in November 2012. The two sides played each other at EURO 2012 when the Three Lions took a 3-2 victory, while they had previously shared spoils by playing a 1-1 draw in the group phase of the 2006 World Cup. England are set as the bookies’ favourites, but it’s really hard to see the value in backing them to win in 90 minutes based on everything written above. Sweden kept their net untouched in three of four games so far in the tournament and knowing that Southgate’s men struggled for goals in all but one game (against Panama), we could hardly imagine a goal fest here. Under 2.5 goals FT thus looks to be a banker bet at the 1.50 odds. We obviously do not expect any of the two sides to take significant risks in the first 45 minutes, meaning no goals in the first half looks to be another decent call at the 2.25 odds. As for the outcome, we just have to try with the draw at 3.40 knowing it has been the most frequent of outcomes in the history of head to head ties between these two like to like teams. Braver punters can even try with a goalless draw at 6.50. Predicted Full-Time Result is a draw in a low-scoring affair in Samara.